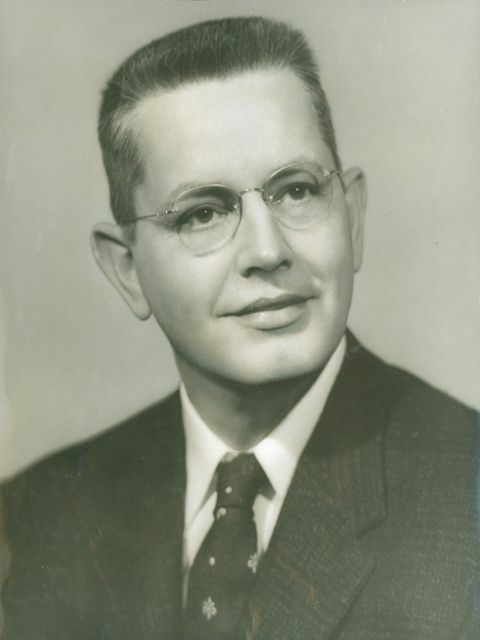 Oklahoma Connection | Bayley came to the University of Oklahoma School of Medicine in Norman, Oklahoma, in 1944 as professor of medicine. In 1949, Dr. Robert Bayley was credited with the construction of an electronic measuring bridge sensitized to a charge of one-millionth of a volt, as well as a synthetic heart, which, in its reactions, was an exact reproduction of a human heart. Ten years later he developed an electronic brain which was designed to improve interpretation of the electrocardiogram. Robert Hebard Bayley was born in New Jersey and graduated from Boys’ High School in Atlanta, Georgia, in 1925 before attending Emory University, where he graduated with a degree in medicine in 1931. In 1932, he began an association with Dr. Frank N. Wilson of Ann Arbor, Michigan, and developed a keen interest in the diseases of the heart, with particular interest to the electric fields produced by the living heart in health and disease. Out of this developed many scientific improvements to electrocardiography. He taught medicine from 1933 to 1944 at the University of Michigan, the Leahy Home, Tuberculosis Sanatorium in Honolulu, Hawaii, and the Louisiana State University School of Medicine before coming to the University of Oklahoma shortly after World War I. Dr. Bayley established the Heart Station at Louisiana State University School of Medicine, and it was there he began his course of lectures on basic and advanced electrocardiography. The American Heart Association honored him in 1959 for his many hours of dedicated effort in the area of research.